Yes, three’s a crowd, even if you’re the last three on earth. 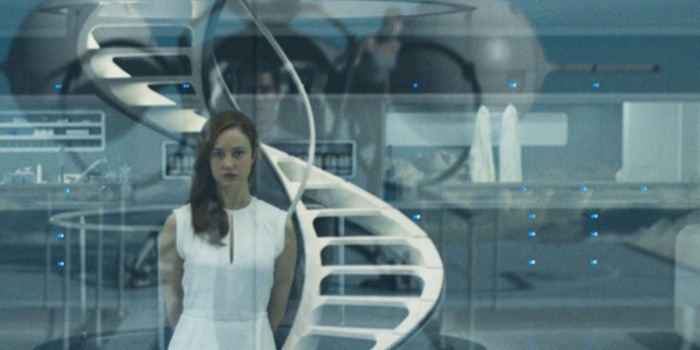 If you don’t mind your futuristic production design looking like an off the plan real estate brochure, Oblivion is a watchable post-catastrophic sci-fi. Humanity appears to have moved out of home, Tom Cruise and his assigned companion (Andrea Riseborough) are ensconced in a glass and formica condo in the clouds, packing everything into boxes in preparation for turning out the lights and leaving the planet, whilst fending off the occasional alien squatter. As you’d expect on a vacated world, not a lot is going on. Then one of the resource extractor maguffins designed to take it all with you while you get away from it all (to Titan in this case) goes nuke. Oblivion seeks to doubly reclaim your attention at half time with a brisk no-one-is-who-they-appear-to-be reversal, but then starts feeling cloudy and floaty again. The unnecessarily complex plot wrap up gets a bit like that too.